ACADEMIC WRITING + TECHNICAL REPORTS. Prior, Tahnee Lisa. “Engaging Complexity: Legalizing International Arctic Environmental Governance.” in Cullen, Holly, Joanna Harrington and Catherine Renshaw (eds.) 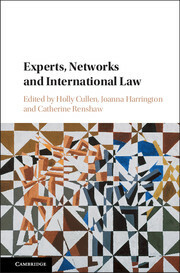 Experts, Networks, and International Law. Cambridge: Cambridge University Press, 2017. Prior, Tahnee Lisa. “Breaking the Wall of Monocentric Governance: Polycentricity in the Governance of Persistent Organic Pollutants in the Arctic.” In The Yearbook of Polar Law: Volume 5, edited by Alfredsson, Gudmundur, Timo Koivurova, and David Kenneth Leary. Leiden: Martinus Nijhoff Publishers, 2013. Prior, Tahnee Lisa. "Digital Storytelling: A Bottom-Up Approach to Gender & Human Security in the Barents Region?" in Hossain, Kamrul, Jose Miguel Roncero Martin and Anna Petrétei (eds.) Human and Societal Security in the Circumpolar Arctic, Leiden: Martinus Nijhoff Publishers, 2018. Nilsson, Annika E., Grete K. Hovelsrud, Helene Amundsen, Tahnee Prior, and Martin Sommerkorn. “Building Capacity to Adapt to and Shape Change” in Arctic Council (2016). 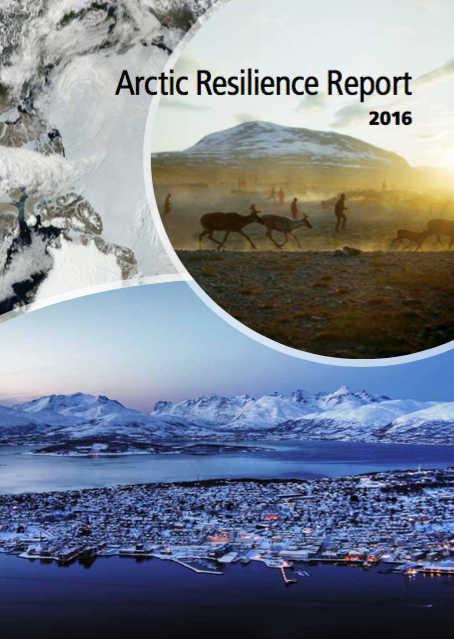 Arctic Resilience Final Report. Carson, M. and Peterson, G. (eds.) Stockholm Resilience Centre, Stockholm. Craik, Neil and Tahnee Prior. 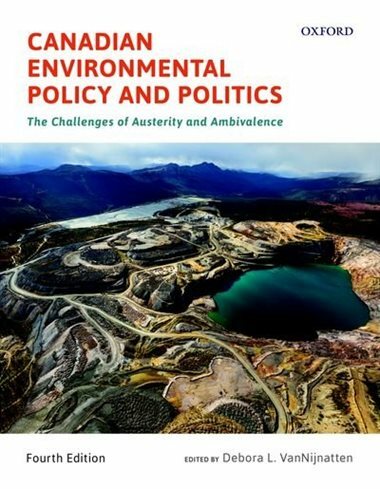 “Retreat from Principle: Canada and the System of International Environmental Law.” In Canadian Environmental Policy and Politics: The Challenges of Austerity and Ambivalence (4th edition), edited by Debora VanNijnatten. Don Mills, Ont. : Oxford University Press Canada, 2016. Prior, Tahnee Lisa and Leena Heinämäki. “The Rights and Role of Indigenous Women in Climate Change Regime.” Arctic Review on Law and Politics, Vol. 8, Nov. 2017. Prior, Tahnee Lisa and Patrick Ciaschi (2018) "Personal security in the Barents Region," In Hossain, Kamrul and Dorothee Cambou (eds.) Society, Environment and Human Security in the Arctic Barents Region, Routledge. Prior, Tahnee Lisa, Sébastien Duyck, Leena Heinämäki, Timo Koivurova and Adam Stepien. Addressing Climate Vulnerability: Promoting the Participatory Rights of Indigenous Peoples and Women through Finnish Foreign Policy. Rovaniemi, Finland: University of Lapland Press, 2013. Access at: http://bit.ly/18GzM7s. Gosia Smieszek, Tahnee Prior and Olivia Matthews. “Women of the Arctic: Bridging Policy, Research, and Lived Experience,” (Briefing Note) In Arctic Yearbook 2018, edited by Lassi Heininen and Heather Exner-Pirot. Akureyri, Iceland: Northern Research Forum. Prior, Tahnee. “Permanence Thawed: The Oft-Forgotten Narrative of the Arctic City,” In Free City, September 2018. Ufimtseva, Anastasia and Tahnee Prior. "Developing Hydrocarbon Resources in Arctic Russia: The Role of Sino-Russian Collaboration," In Arctic Yearbook 2017, edited by Lassi Heininen, Heather Exner-Pirot, and Joel Plouffe. Akureyri, Iceland: Northern Research Forum. Kohut, Rachel and Tahnee Prior. “Overlooking a Regional Crux of Vulnerability: Missing Women in the Arctic,” In Arctic Yearbook 2016, edited by Lassi Heininen, Heather Exner-Pirot, and Joel Plouffe. Akureyri, Iceland: Northern Research Forum. "Local meets Global: Imagining an Intersectional Response to Mobility and Migration Issues" with Rachel Kohut for FemNorthNet under the Canadian Research Institute for the Advancement of Women. "When Reality Bites, Bite Back" for Complaint Restraint. “Absence, not Abundance: where to begin with gender issues in Arctic communities?” with Rachel Kohut, for Contours Magazine is an annual student-run magazine at the McGill Faculty of Law. It seeks to map and shape the contours of debates at the intersection of women and law. “Northern (En)Light(enment): Changing the way we think about the Arctic,” with Rachel Kohut, for Holstee’s Series on Mindful Matter. Holstee is a Brooklyn-based design studio that inspires people to live mindfully. Featured on "Future of Women"
"Travel Hussies in the News," Adrienne Blaine's "Travel Hussies"
Talking "Gender, Climate & the Arctic" on the University of Waterloo's Faculty of Environment #FOEShow Podcast. CBC Tapestry Interview with Thierry Blancpain on Complaint Restraint, a project to help one give up complaining for the month of February. List of past and future presentations available upon request.